We’ve already given you some overall tips to help you through the game, so here are some tips for specific levels, just in case you’re stuck on one! Herd the stick men away from the base and garage where the steam rollers come out. The garage under the copter base is an EXIT garage. Rescue the Stick Men furthest from the base first. Worry most about the 4 clouds that re-spawn. Fly through them to burst them, it’s the only way. Get a circular pattern going around to the left (counter-clockwise). Rescue the guys closest to the bombs first. Get the guys on the top of the level first and make sure to burst the clouds. Never let a bomber go un-shot. The zeppelin’s a head-chopping nightmare, so save the guys closest to the zeppelin garage first. Don’t forget about the steam roller though. Don’t rescue the guys closest to the base until the guys on the building are rescued, unless you want to watch stick men fall and splatter. If you land all the way to the right of the level, the stick men will run out of bomb range so you can leave the 4 left over for last. When leaving the base, stay high or the flock will get you. Rescue the guys on the top-right first, or the zeppelins will be really deadly. When the level starts, fly immediately to the far right extreme of the level and land… you’ll see why. Use your flame thrower, think Hindenburg. Hose it down. Put out every fire you see except on the bottom level… it will buy you time. Don’t go to the left from the base, it’s a red herring. Herd guys on the very bottom away from the bomb drop zone, then work your way from the top. Put out the dynamite fuses first, then go collect missiles again. Make sure your copter is empty when you open the 3rd gate. Land facing the left and keep firing your machine gun. When leaving the base, immediately go down just a bit and to the right to retrieve the flame thrower. Then get the missiles and open the iron door. Don’t use all your missiles, since you’ll need them to stop the flying steamrollers! Rescue the guys on the top-left first, but never let the lever puller go for long. Get bombs first, then concentrate on the lever puller and the guys right above him. Watch out for paratroopers in the lever-puller’s bunker. Catch the falling guys in the center. Use the shoot-through to turn the lever off. Rescue the guys closest to the base by landing to their left first. Then concentrate on the conveyer guys. After rescuing the guys to the far right, make sure you kill the lever puller. Be willing to catch falling guys. Leave the conveyer guys for last. Get the missiles first, open the iron gate, then get the flame thrower and don’t pick up any more missiles. Always kill the machine gunners. Stay low and start rescuing from the left. Watch out for paratroopers coming out of downed planes. Be willing to suicide when necessary. Get the flame thrower and avoid the missile on the way back, then open the ice barrier early and go that direction. Well, that does it for tips & tricks for specific levels. If you need more help, feel free to drop us a line at our facebook, twitter, or support pages! Two Weeks of Huge Discounts on Our PSN Games in the EU! We’ve got a HUGE sale going on for all you PS3 & PSP fans across Europe! For the next two weeks, just about all of our games are on sale, some even over 50% off! Everything you need to know (via the EU PlayStation Blog) is below! If you’re in need to some little bits of advice for Stick Man Rescue, this is the post for you! Here are some hints straight from the horse’s mouth (Howard Lehr, Director of Game Design, not an actual horse, though that sure would be cool to have a talking horse). We’ll have more tips for those of you stuck on a specific level, so check back soon! Watch the level fly through, assess the threats and decide which set of stick men you’ll rescue first. Doing things in the right order makes the game a lot easier. You don’t always have to go for the easy rescues first; sometimes it’s better to go for the guys farthest away first. Stick men aren’t super bright so they follow very simple rules. Hey, if your head was just a dot on the screen you wouldn’t be a genius either! If the copter is on the ground and the stick men are on-screen, they will run towards it, even when it’s a VERY BAD idea. Use this to your advantage. Move some of them to safer spots, especially when bombs, conveyor belts, or trees are involved. Even if you don’t get them completely out of danger, you might buy a few valuable seconds. Remember: they’ll only run towards you if you have 3 or fewer stick men in the vehicle. Careful, though, since stick men that are slightly above or below you will also run towards the Copter. It’s a good thing in general to be willing to take one for the team. Stick Man Rescue is no exception. Sometimes purposefully destroying your empty Copter is the best thing to do. If your Copter has taken a lot of damage and you pick up some stick men, you risk losing them in a fiery crash once you take a tiny bit more damage. Evil Blue Stick Minions Are Bad, M’Kay? The only good blue stick man is a dead blue stick man. They’ll keep running around until they find trouble (e.g. finally push that bomb off the cliff above your guys), so it’s best to take them out when you see them. This seems like a little thing, but you’ll kick yourself when it happens to you: avoid hanging objects. If you’re not careful where you’re flying, you might cut the rope holding a very heavy object, which is almost certain to fall on some oblivious friends of yours. Don’t forget that your Copter can only carry two items in its loadout. Keep this in mind in levels where you might need to use fire or water. 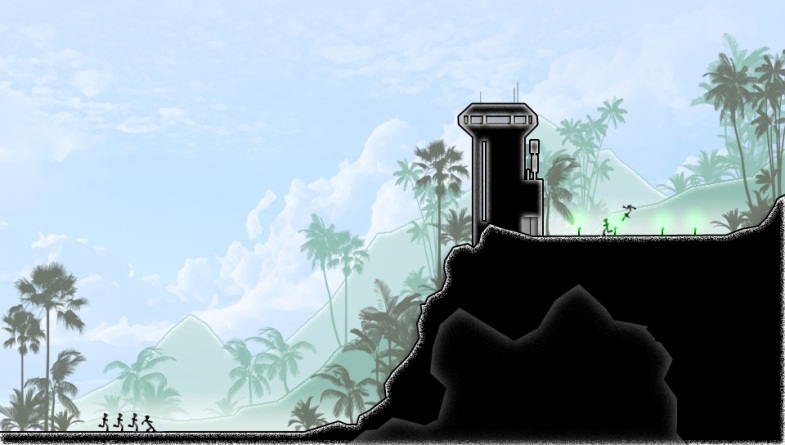 You probably won’t want or need missiles or bombs in these levels. Stick Man Rescue Devblog, Part 4: Say What? During the project, we faced difficult situations… it’s always a challenge to get the game as perfect as you want without going over schedule and over budget, which typically amounts to the same thing. One of the most difficult things the SMR team faced was having to choose which aspect of the game got the least resources dedicated to it: the “winner” was audio engineering, ak.a. sound effects and music. Hunter S. Thompson used to say “When the going gets weird, the weird turn pro.” We took this to heart and instead of trying to find a way to get an audio engineer to work for free (we don’t have one in-house), we did the audio ourselves. Production-quality audio files (.wavs or .mp3’s or whatever) need to be licensed from their talented creators. We managed to make the in-game audio entirely by ourselves, with our own internal talent. All those voices of stick men yelling “help” or “thank you” or “aaaaaahhhh” are just recordings of my wife, my kids and me that were sped up using “Audacity.” (available here: http://audacity.sourceforge.net/) Yep, this is the same process as the one used to create voices for Alvin and the Chipmunks but hopefully way less annoying. Hindsight is 20/20. A video camera really should have been pointed at my wife during the recording sessions. The faces and hand gestures she made in front of that microphone were prime YouTube material, or at least fodder for some serious blackmail. Alas, an opportunity lost. Recording sessions with friends and family = great video potential, especially if the camera is hidden. At this point we were getting very close to finishing the game. More on that last mile next time. Who wouldn’t want to drive this thing to work? So, now we had a vehicle, some crazy death ideas, a game design and a production team ready to create some serious mayhem. Key to the fun factor of the game was how to get levels built and put into the game engine without having to write a bunch of custom tools. Custom tools are nice, but using engineering resources to make them means that you either have to boost your budget or sacrifice other cool features that those programmers could have spent their time coding. We opted to use a modified version of “Tile Studio.” Copies of this can be found here: http://sourceforge.net/projects/tilestudio/. Straight-forward as this tool is, it covered our needs and learning to use it didn’t require too much time up front. It served us well. Its output looks like this… not super WYSIWYG, but really easy to use and quick when corrections need to be made. Thankfully, the game isn't nearly as pink! All I did was sit down and start creating levels based on the outline documentation from the Game Design and after a mere 1,000 hours of wrestling, tweaking, swearing and asking advice of colleagues like Allen Widner and Bob Goad, a level set of 30 death traps was created. Some level gags grew naturally out of the design of the game elements, while some just came from the process of saying, “What happens if we do this?” The levels named “Catch Me” and “Rock N’ Feather” are good examples of that. Soon, the EBSM (Evil Blue Stick Minions) could menace and murder stick men in more ways than we imagined at the outset of the project. 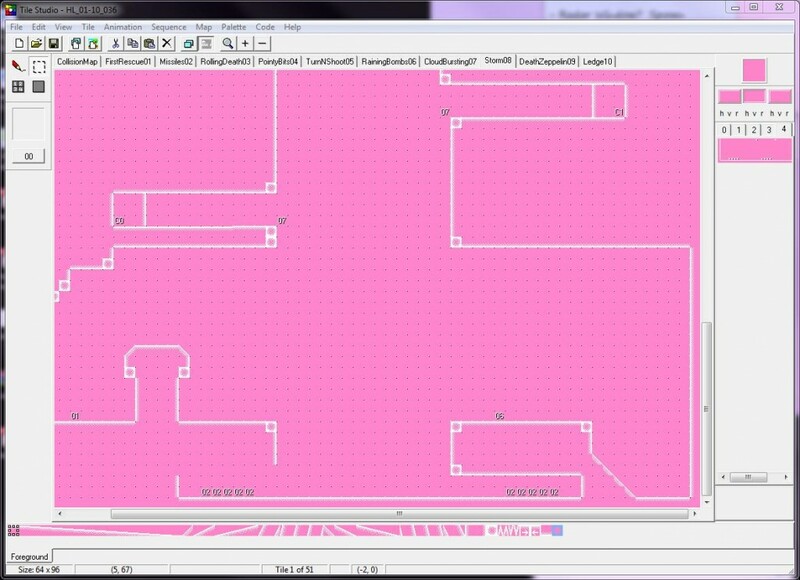 As the level creation jammed along, we honed the animations for maximum efficiency and funny factor. A lot of time was spent making sure that everything a stick man did looked funny and conveyed a lot of expression (well, as much as a stick man can). In the end, every moment of gameplay was scrutinized, tweaked and re-tweaked until it made people laugh, even if they felt guilty while doing so. Of course, it wasn’t always smooth sailing. I’ll go into the gory details next week. Another advantage to being at TikGames is the “big picture” people. I showed the prototype to our executive staff. There were some giggles, but mostly there was stunned silence and concerned looks. Alex, one of the company’s founders finally said, “Wow, that’s pretty funny and you are definitely one sick —-.” In all seriousness, my bosses and peers had a lot of good thoughts and encouraged me to formalize the design and show it to Sony to see if it could get approved for PlayStation Network. Some people think it’s diseased, but it’s actually fun for some of us to write 50-page technical documents that can be used as guiding bibles for a game development team. So then, the fun started in earnest. In the end, we were ready to send a pitch over to both Sony Europe and Sony America. Both groups liked the idea as a PSP Mini, so we were all set to get production rolling. More on that next week! In our latest series of blog posts, Howard Lehr, our Director of Game Design, provides a glimpse into just how Stick Man Rescue went from a crazy idea to an actual game. Yeah, OK, I’m not going to quit my day job to pursue a career in animation but that’s not the point… this was just goofing-off family fun. It is true that game developers have a different sense of family fun than most families, but what would you expect? After the silly animating, we started brainstorming on crazy stick death ideas. The results of the brainstorm were not anywhere close to high-brow humor, but still were embarrassingly entertaining. This prompted visits to various stick death websites which provided a surprisingly long-lasting source of giggles that attracted my younger son and soon the 3 of us were pondering how to make stick deaths into a game. Dusting off my rusty programming and non-existent art skills, I co-opted my kids to start making animated gifs of stick deaths and created a prototype game bent on seeing how many of our most ridiculous ideas could be worked into it. It looked like this, (yeah, yuck) but it played pretty well and entertained everyone we showed it to. Since fun is what games are all about (and this was fun in spite of the prototype’s sloppy art and spaghetti code), it made sense to formalize the design and see if it could be made into something cool, addictive and most of all, funny. So, I had a prototype, but had a long ways to go to turn it into something that could be useful for a real game design. More on that next time. 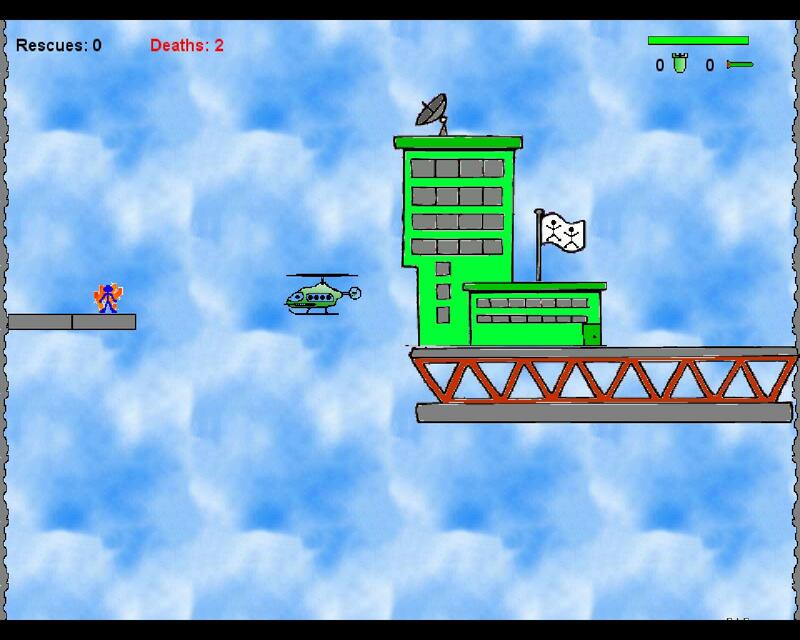 Our newest game is ‘Stick Man Rescue’, an action/arcade PSP Mini. You remember how, as a kid, you used to draw little stick figures dying in horrible, horrible ways? 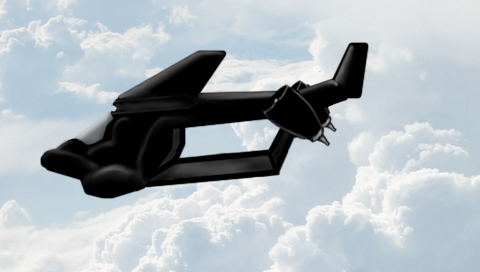 Well, in this case, you could watch them die, or you could do your duty and save them using your futuristic copter! Of course, if you let them die, you’re gonna lose, so choose wisely The gamepage on our site, full of information about the game, is located right here. Boy, do we have a bunch of good stuff for this game coming up for you fans over the next few weeks. Of course, we’ll have a video so you can see it in action, but we’re also going to have our own stick man drawings posted to facebook, so you can see the artistic “talent” of the TikGames crew Feel free to draw your own, ’cause we’re going to ask you to submit them not too long from now! We’re also going to give you unique insight into how this game game about, courtesy of the creator, Howard Lehr. There’s even more coming, so keep checking our facebook and twitter for more news!